Divided back with note, "Why is it I don't hear from you." Americans have always wanted to stay in touch with one another, and with the introduction of the one-cent stamp in 1898, the practice of sending postcards exploded. At first, messages weren’t permitted on the address side and were written over the images on the front of the cards. When postal regulations changed in 1907, the back of a postcard was divided into two sections, one for the message and one for the address, thus heralding the so-called Golden Age of postcards. 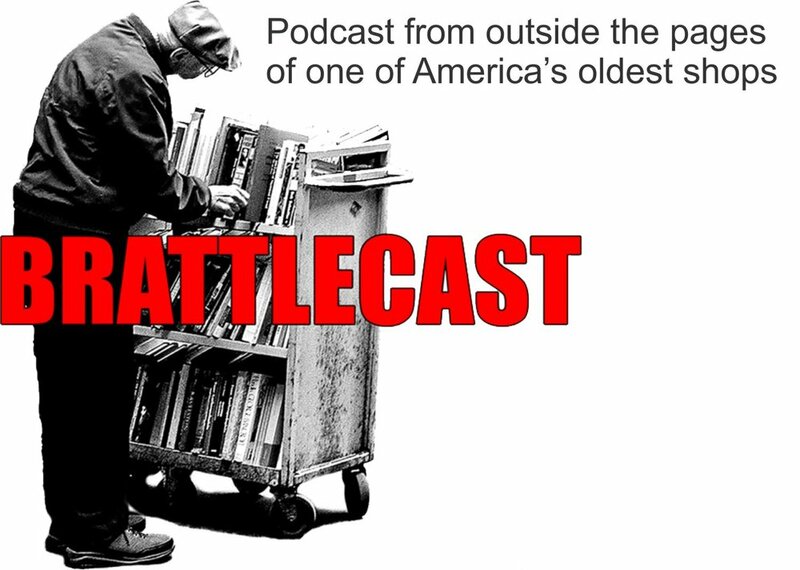 Why call it the Golden Age? Two reasons: volume and illustration quality. In American Holiday Postcards, 1905-1915, postcard expert Daniel Gifford speculates that between 200 and 300 billion postcards were produced and sent during that ten-year-period, many of these during the post-1907 “divided back period.” To fuel the boom, stores exclusively selling postcards opened in American cities. Collecting postcards developed as a hobby and collecting clubs were advertised in local newspapers, according to George and Dorothy Miller, authors of Picture Postcards. Turkeys in a car, 1907. Most U.S. holiday postcards were sent by rural women who were now more literate than ever before. As Americans became increasingly mobile and the middle class grew, sending postcards was a pastime that kept people connected. Much of the holiday imagery we consider iconic today hails from the turn of the 20th century: picture a plump Santa with a sprig of holly in his cap delivering wooden horses and porcelain dolls to eager children. These aspirational pictures often appeared on postcards and either reflected idyllic scenes of country life or illustrated a changing and modern society: a Thanksgiving turkey hitching a ride to the table on a newfangled airplane, Santa arriving in a motorcar or riding in a zeppelin instead of a sleigh. Social and cultural values spread through America via this art, which was often created by well-known illustrators such as Ellen Clapsaddle and Little Women illustrator Frances Brundage. During World War I, holiday postcards in the U.S. and allied countries reflected the mood on the home front—such as a woman thinking longingly of her soldier far away—or in the field: soldiers receiving packages from Father Christmas. 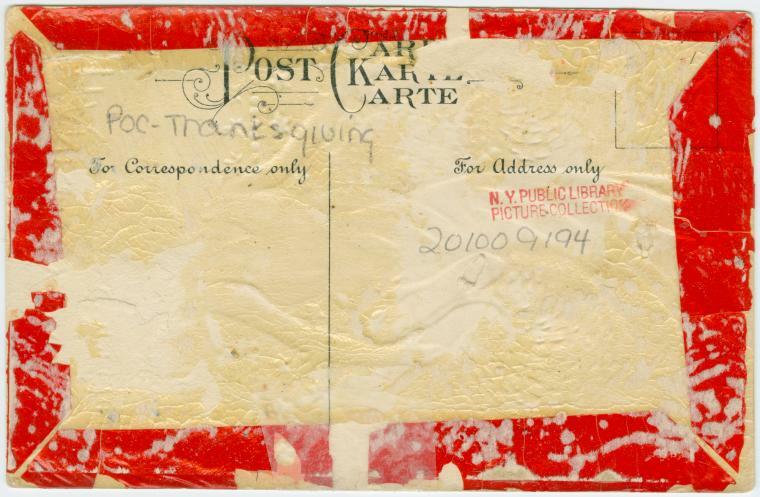 Civilians sent these postcards as an expression of support for the war effort. Thanksgiving postcards never took off to the degree that Christmas postcards did, but during the pre-war period, postcards featuring turkeys or including patriotic American imagery came into vogue before ceding way to more lucrative holidays like Christmas and Valentine’s Day. Collectors interested in holiday postcards from the Golden Age have a few factors to consider. A signature from well-known illustrators such as Louis Wain, Samuel Schmucker, Clapsaddle, or Brundage (typically found in the lower right corner of the image side of the card) or will increase a card’s value, and unused postcards are most sought-after. However, an easy-to-read or unusual postmark, a postmark from a far-off place, or a postage stamp that’s been cancelled by a handwritten mark increase value dramatically. Unexpected illustrations, such as pictures of obsolete holiday traditions or unusual depictions of Santa also increase value. Look for silk-embroidered postcards made by French and Belgian woman and sold to soldiers on the front lines. Embossed postcards from the period are hard to come by but valuable. 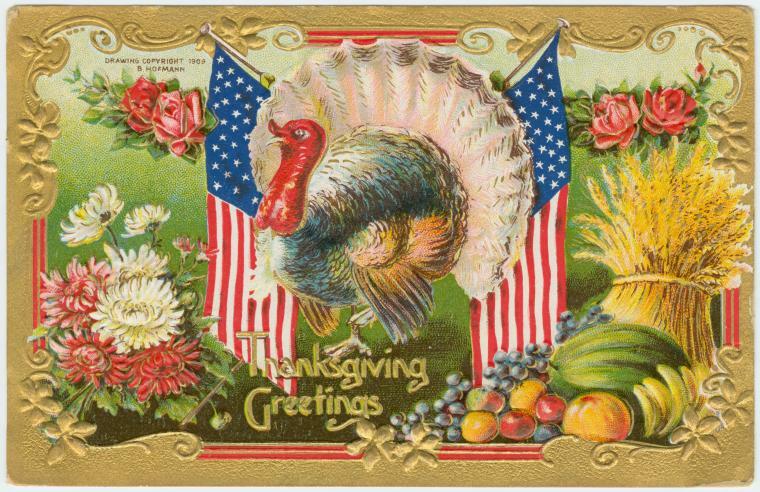 Although rarer than Christmas postcards, Thanksgiving cards haven’t historically been as collectible and may present an excellent opportunity for those wanting to develop a unique collection. Collectors can expect to pay anywhere from $5 to $100 for holiday postcards from the Golden Age. Joanne O’Sullivan is a freelance writer and editor and book and paper arts enthusiast based in Asheville, NC.